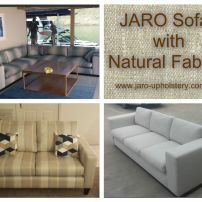 commented on "Natural fabrics on JARO's custom made sofas. See JARO for quality Australian Made furniture!" Natural fabrics on JARO's custom made sofas. 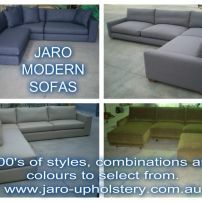 See JARO for quality Australian Made furniture! 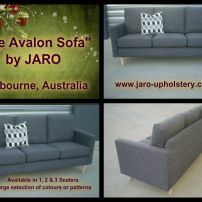 commented on "JARO CUSTOM MADE SOFAS & LOUNGE SUITES, MADE IN MELBOURNE AUSTRALIA"
commented on "The Avalon Modern 3 Seater Sofa by JARO Upholstery, Melbourne"
Available in leather, vinyl or plain, textured or patterned fabric. Legs available in Tassie Oak, hardwood or metal. Chair & 2 seater sofas also available in this design.